The colors deviation might differ due to different monitor settings, please kindly understand. -- This ignition switch for replacing your faulty part. -- Fits for most all Quad & Dirt Bikes 50cc/70cc/110cc/125cc/150cc/250cc Motorbike ATV Quad Dirt Bike. 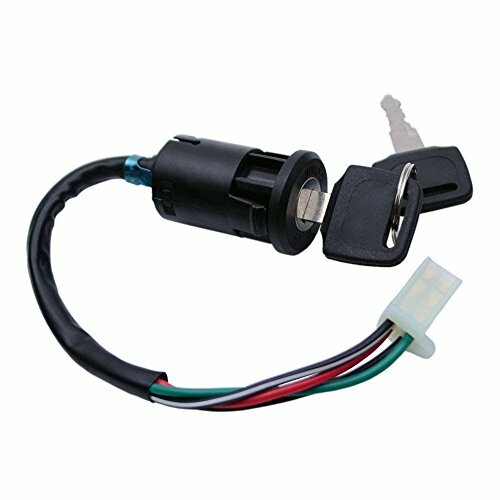 -- This ignition switch set has 4 wires connection, including 2 keys. -- Please make sure that the part you're replacing is the same as the picture shown before purchasing.